Krafty Chix.... Ohhh ohhh ohhh! 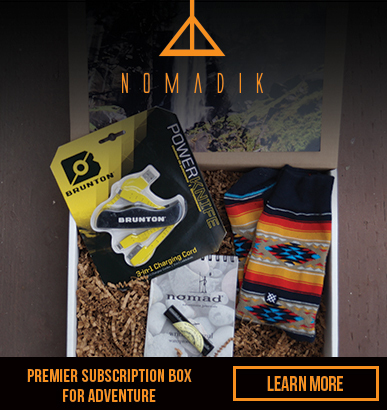 This has got to be one of my favorite subscription services! Oh!! Krafty Krates are so sweet and would make the perfect gift or even gift to yourself each month! I'm really excited to tell you about this one! So we received a Krafty Krate from Krafty Chix which are just incredibly cool! A Krafty Krate is a monthly subscription box either for $19.99 for the Classic edition or $49.99 for the Premium. All of the items in the krate are handpicked based on the survey you fill out at the beginning of your subscription. Then many of those items are personalized! with the letter "A" embroidered on it. I love this bag! It's getting ready to replace my purse and a overside diaper bag. Well I'll still carry a diaper bag but leave that sucker in the car because I can carry all my personals plus a clean onsie, bottle, diaper and wipes. No more carrying a purse and diaper bag! This personalized tumbler is great also! How sweet considering we are huge coffee drinkers and this cup will be great for on the go! In our Krate we also received two bracelets and two key chains. I love how much thought they put into these! Check out one of the keychains says "Congratulations on your new baby BOY" and one has "Back Road Momma" on it! Isn't that sweet? Then the bracelets, one has a Moma bear on it and one is moma bird and baby bird. Those are just too cute! We also received three necklaces! One personalized "Mom", one a eternity heart, and one with a bird and nest. The bird and nest one is my favorite! The wire looks hand bent and I love the blue bead resembling a baby. This is just a sweet sweet necklace if you take a look and a minute to think about it. Anyone noticing a trend yet? Most of these products are projected towards mom! This would be such a great gift to give mom for Mother's Day and it's not to late!! And last but not least, a couple little items. A new personalized drink coozie to help keep my cans cold. This will be great outside! And this cute little unicorn change purse. I'm not much for unicorns but Aly will love it! You have got to check out Krafty Chix! They have a website FULL of all of these products plus so much more!!! I could spend hours looking around their site shopping! I know subscription boxes aren't for everyone but you could easily find a gift for mom or the girls at Krafty Chix!